GoMobile Repair > Uncategorized > Cheap Phone Repairs: Worth the Risk? Cheap Phone Repairs: Worth the Risk? 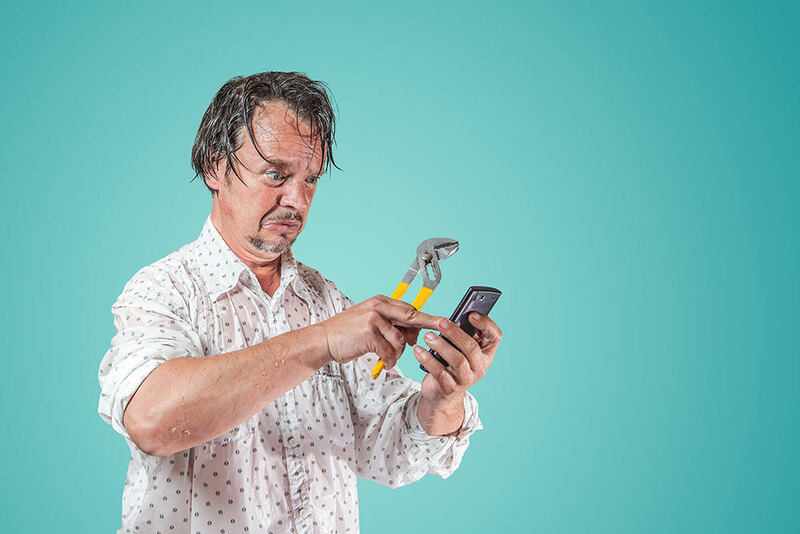 Nobody wants to pay an arm and a leg to fix their smartphone, so it makes sense to do a little shopping around before you choose the cell repair company that is right for you. GoMobile has great reviews from real customers and offers extremely competitive pricing for all repairs (that’s probably why you’re here!). But what about that “other guy” who has mysteriously low prices? When you’re going out to eat, its always extremely satisfying to find a great meal at a low price. But when get your phone fixed on the cheap, you might not realize that you’re always getting what you bargained for. A cheap fix can mean cheap parts, a lack of warranty, rushed repairs and inexperienced technicians. Phone parts cost money. Whether you are talking about a large franchise chain or a small mom-and-pop shop, every repair center needs a supply of parts. We have been proudly serving Metro Vancouver for over eight years and, in that time, we’ve seen our share of suppliers. Cheap ones, expensive ones…ones with bad parts and great ones. One of our biggest assets is having a supply chain that comes from a place of testing and research. We’ve found the good sources, so you don’t’ have to worry about a thing! The myriad of parts that make up your phone can often come from many different places. Apple, for example, has been known to make its display screens across three different manufactures for the same model of iPhone. Have you ever seen two original iPhones that have slightly different display hues and tints? Now you know! OEM or Original Equipment Manufacturer parts are rarely poor quality. But did you know there is also a HUGE market of cheap aftermarket parts in the cell phone repair marketplace? You might be surprised at just how many Vancouver phone repair shops offer these cheap knock-offs and sell them as the real thing. It also helps explain why places like Crystal Mall and shady Craigslist offerings can sometimes see phone repairs at way below regular prices. They use the cheapest of the cheap! It may work for a while…but how long until it breaks again? Often, we will get a device from a client that previously had their phone or tablet fixed at a competing shop. It is EXTREMELY rare that when we open one of these unfortunate devices, that we find the original repair was done well. Typically, screws are missing or loose and several of the small internal parts are mysteriously missing from the inside. We even had to retrain one of our latest staff members who came from another shop (which will remain unnamed) who told us that in order to fix the phones quickly at his last place of employment, they would leave out parts that “weren’t necessary to replace”. Yikes! We have a philosophy at GoMobile Repair: use the best parts and do the job right the first time! We only use the best parts available and our technicians are both skilled and knowledgeable. We typically offer a two-hour window in our shop for repairs and around 30 minutes if at your location. Never will we try to rush your repairs in an impossible time-frame and risk damaging your device. Don’t forget: we also offer an industry-leading one-year warranty! Good luck trying to make a claim with the “other guys”. Read the fine print (and the reviews)! Previous Previous post: Backup and Restore with iTunes! Next Next post: Whoa. 60+ New Phone Repairs!